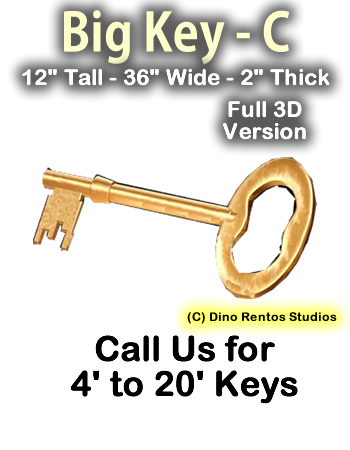 Big Foam Key Prop - Version C - Dino Rentos Studios, INC. This key prop is great for events and displays! Choose your key color below. Add Plastic Coating for durability and outdoor use. Call us to add neon-like lights or wording. Can be customized - call for quote. Price is for 1 Foam Key Prop.